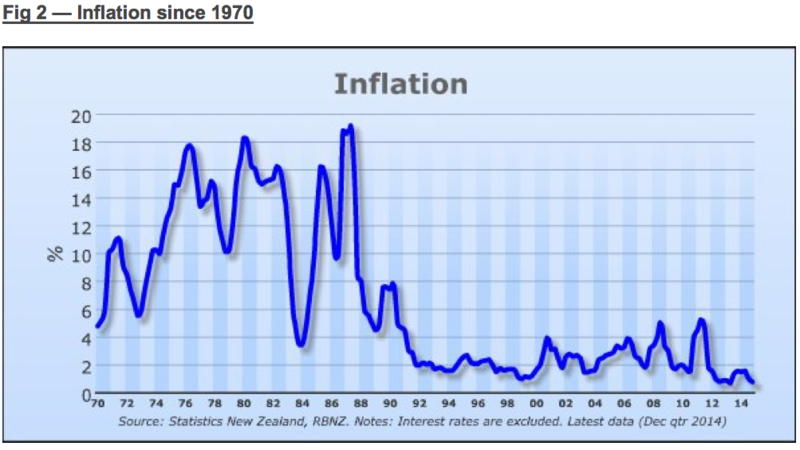 The other morning on the radio I distinctly heard a senior politician say that the economy wasn’t going well ‘because the inflation rate was too low at below 1%’. I thought I was hearing things. Indeed someone coming to Earth from Mars might ask a few questions. Presuming inflation is a bad thing and it is now near zero, why then is the economy not going swimmingly? Then I remembered what I had recently learnt – that economists had designed a 1-3% inflation target as an ideal because you had to have some incentive to spend today or the economy would seize up. You didn’t want inflation too high, but a low rate of inflation is acceptable and even necessary simply because otherwise people hold on to their money and nobody spends. They realise that goods will be dearer tomorrow – if only by a little – so they decide to spend now rather than wait. Goodness, how few people know this. 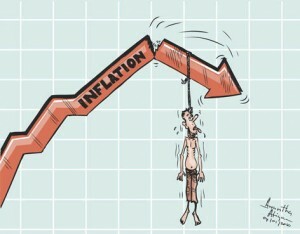 And how it is becoming exposed now that the inflation is below 1% in more than one of the developed nations. Now land was taken out of the CPI in 1999 as you can see in this graph. Yes the graph makes good sense. With land safely out of the CPI, economists can brag that their target has been achieved for a consistently long period. And you had the huge land bubble of 2002-2008 never recorded in the CPI and then again the land bubble of 2011 onwards completely out of the graph. As we collectively head blindly into a period of deflation of unknown length and pain, we must pay attention to the writings of Silvio Gesell, a far thinking German businessman who also lived during a Depression in the 1880s in Argentina. His book The Natural Economic Order has been translated and put online for all to read. Of him Keynes said "The world will owe more to Gesell than it does to Marx". Gesell realised that a businessman with goods is at a disadvantage from those holding money. While the goods decayed, rotted and generally went out of date as they waited for someone to buy them, the money retained its value. Those in possession of money were better off than those who had goods. He famously wrote: "Only money that goes out of date like a newspaper, rots like potatoes, rusts like iron, evaporates like ether, is capable of standing the test as an instrument for the exchange of potatoes, newspapers, iron and ether." After decades of having loyal followers, during the 1930's depression, Gesell's theory was put into practice, but only briefly because the banks managed to persuade the government to stop it. It was in the small town of Wōrgl, Austria 1932 that the Mayor put aside 20,000 schillings and used them as backing for notes called Work Certificates. They paid their employees partly in Work Certificates. Each note had 12 spaces on the back and a stamp had to be stuck on every month to validate the note. To avoid paying for the stamp people spent the Work Certificates quickly. The currency was successful at reducing unemployment, so much so that people came from miles around to witness the Miracle of Wōrgl. It was in place 15 months before the government made it illegal and they went back to unemployment. Despite the fact that section prices tripled in fifteen years to 2007, land is not now included in the Consumer Price Index. This means that the official measure of inflation is unreliable as it is far lower than the actual figure. Thank you for your letter of 20 February regarding the exclusion of the price of land from the Consumers Price Index (CPI) basket of goods. "I am advised by Statistics New Zealand that land (i.e. residential section) was included in the CPI until the June 1999 quarter. Following a review of the CPI in 1997 land was excluded, taking effect from the September 1999 quarter. "The 1997 review by an external advisory committee confirmed the CPI's main purpose as being informing monetary policy setting, and that the CPI should be focussed on the concept of "acquisition". The reason given for excluding land from the CPI from 1999 was that it was considered to represent the investment component of home ownership (with dwellings representing the shelter component). "The September 1999 quarter CPI information release explained it as follows: "A dwelling provides shelter over a long period of time. Over time land is not consumed and so can be considered to represent the investment component of home ownership. As investment expenses are outside the scope of the CPI the rebased CPI excludes expenditure on residential sections." 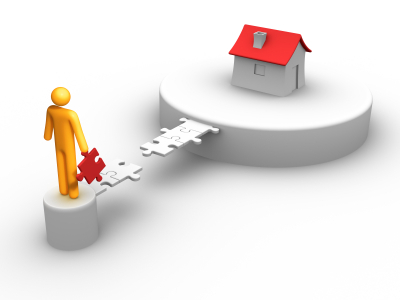 "Information on the sale of land is available from QV (www.qv.co.nz) and the Real Estate Insititute of New Zealand (www.reinz.co.nz). I trust this information meets your needs and thank you again for taking the time to write. You can be assured I will write back to ask how inflation can be accurately measured when the price of residential sections is excluded. Every time a section rises in price it puts up the price of the property. So when someone buys property in the future, they will have to pay a higher prices than previous owners paid. This also means the total mortgages and the total money supply has to rise accordingly. When the money supply increases there is inflation. So it is not a small quantity we are talking about. We are neglecting a huge factor. The CPI cannot be taken as a valid measure of inflation and there is no reason to have any faith in it. The Productivity Commission said the price of residential sections tripled in the fifteen years to 2007. Right now we are going through a period of fairly stable prices, but no doubt in the future the cycle will come around again and prices will rise. The value of all residential properties in New Zealand was estimated by the Tax Review committee of 2007 to be $298 billion. This excluded land for commercial forestry, agriculture, industrial, commercial or mining or land owned by central or local government. As Eisenstein says "Money is deeply and irretrievably implicated in the conversion of the land commons into private property, the final and defining stage of which is its reduction to the status of just another commodity that can be bought and sold." After this letter, we could add to this "and used as an investment".